On to Twitter data influencing SERPs, which is a really important issue. According to researchers' observations, links from twitter certainly do affect ‘Query Deserves Freshness’ (QDF) results, given that both Google and Bing have a data deal with Twitter now – in spite of the ‘nofollows’. It is interesting to see how the social graph and particularly Facebook ‘like’ data might affect SERPS. At present, as we all know, it’s not taken into consideration in ranking models. But, he speculates that this could happen, potentially from Bing who have an investment in Facebook. Next, some correlation data about the importance of putting a keyword at the front of your title tags. The stats in researcher's correlation analysis clearly show that it has a big impact. 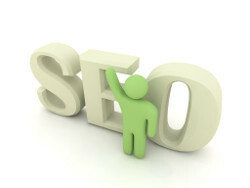 Most search engine professionals would agree that this is the case from experience. Several researchers comment on how Google seemed to improve their link filtering back in January – a lot of sites’ links were devalued where there was not as much of a natural link profile – overoptimistic of links and particularly over-focusing on homepage. You need to make sure the signal:noise ratio in your link profile is good, and make sure there is a good proportion of brand/natural links across the site. ”Deep pages need to justify their existence by having external links to them” So often people only link build to their homepage and they don't realise how much they are losing out – deep links rule the SERPs, it’s a fact. .net view states you should keep away from this! Most people don’t realise how much this can harm you. Printing out a typical viewstate from a site’s code and stiking the pages together yields about 10ft tall in total! But there are ways of keeping this to a minimum. Keep all JS / CSS external – we all know this but do we do it? Remove those ridiculous, unnecessary meta tags! A change in the algorithm is bad for some, but an opportunity for others. It comes back to the point that you cannot rely on domain authority alone any more – need niche content, and perhaps this helps the specialist niche sites. Don't always chase the latest update or tweak because when it changes again you could lose out. Stick to the fundamentals.